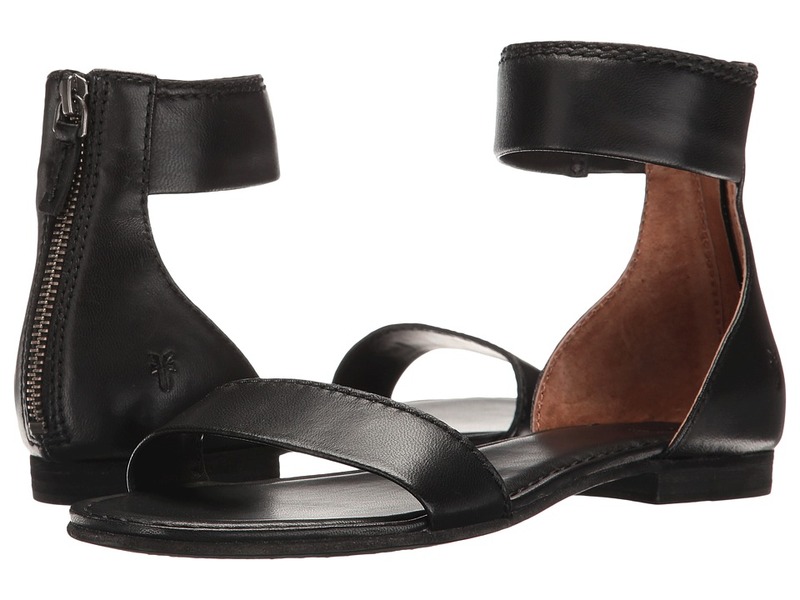 Dress up every look with the sweetly sophisticated Carson Ankle Strap Zip sandal from Frye. Vintage leather upper with a soft burnished finish. Ankle cuff and leather strap at heel offer a comfortable and stylish fit. Back zip for easy on and off. Smooth leather lining. Cushioned leather footbed. Durable leather outsole with split rubber heel. Imported. Measurements: Heel Height: 3 4 in Weight: 7 oz Product measurements were taken using size 8, width B - Medium. Please note that measurements may vary by size. Weight of footwear is based on a single item, not a pair. 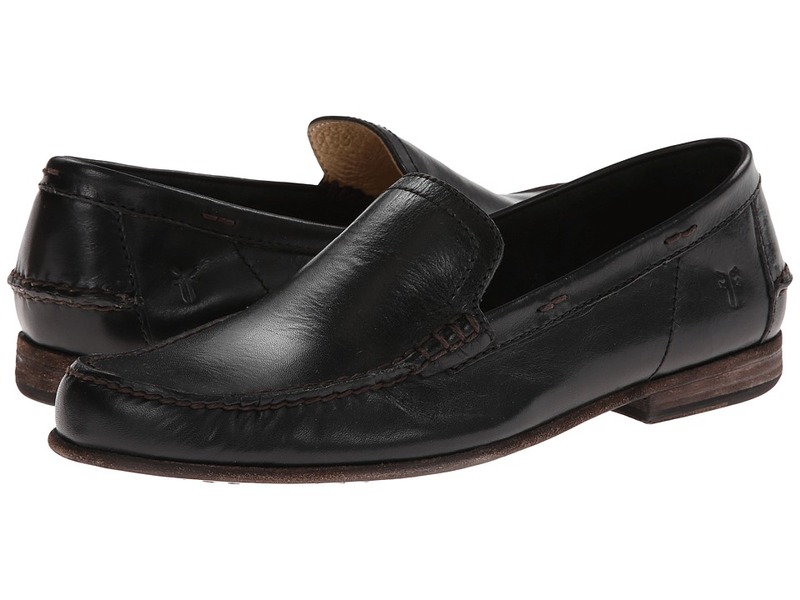 The Frye Lewis Leather Venetian shoe has a handsome style that is ideal for both the office and casual events. Antique pull up leather or suede upper. Leather type noted in color name. Easy slip-on style. 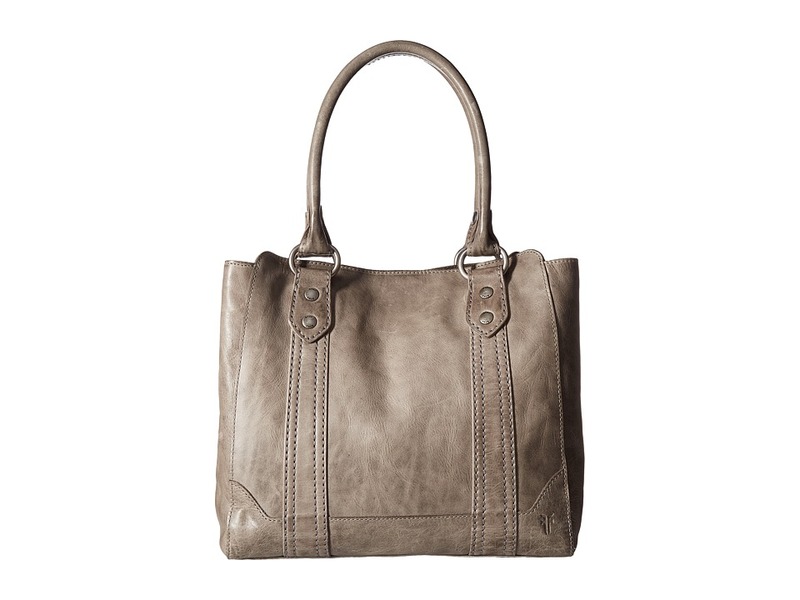 Features intricate stitching detail. Soft leather lining for next-to-skin comfort. Lightly cushioned leather footbed for added underfoot comfort. Durable leather outsole with rubber split heel. Imported. Measurements: Weight: 12 oz Product measurements were taken using size 10, width D - Medium. Please note that measurements may vary by size. Weight of footwear is based on a single item, not a pair. The Melissa Tab Tall Riding boot by Frye has a slim, sleek appearance that will make a perfect addition to your cool-weather look. Soft vintage leather upper. 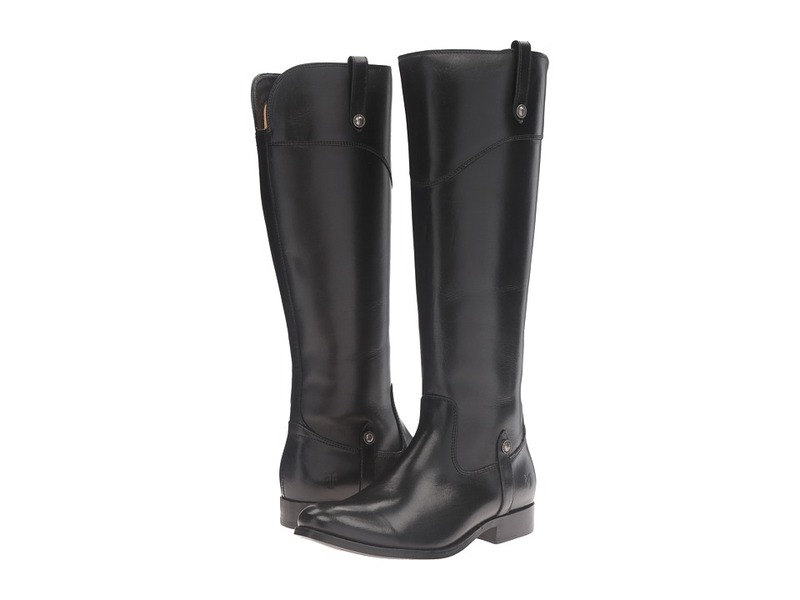 Inspired by the classic Paige Tall Riding boot, this style is done on a slimmer silhouette. Side leather pulls tabs assist in easier entry. 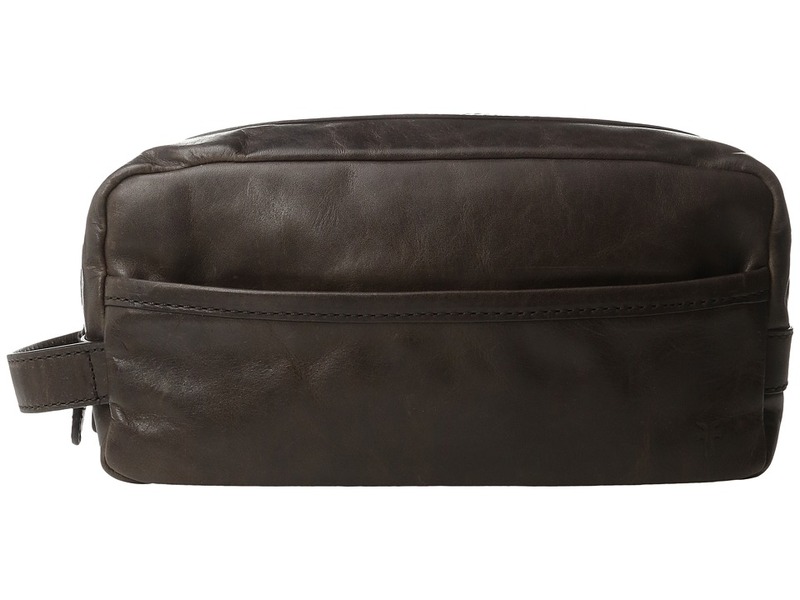 Full length zip closure for easier on and off. Smooth leather lining. Cushioned leather insole for all-day comfort. Leather outsole for long-lasting durability. Measurements: Heel Height: 1 in Weight: 1 lb 7 oz Circumference: 14 1 2 in Shaft: 16 1 2 in Platform Height: 1 4 in Product measurements were taken using size 8.5, width B - Medium. Please note that measurements may vary by size. Weight of footwear is based on a single item, not a pair. 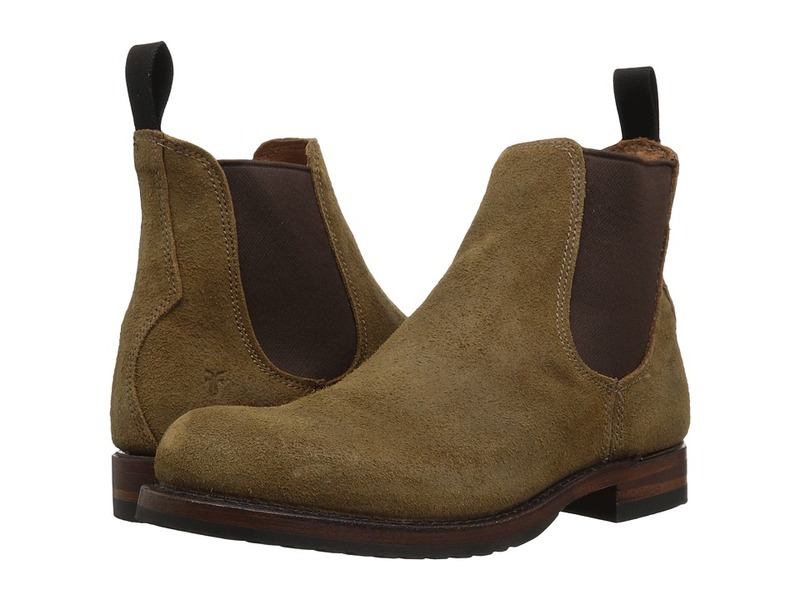 The Frye Logan Chelsea boot from offers a more rugged look with its heavily waxed suede construction, while still providing the same incredible style and comfort that Frye is known for. Waxed suede leather upper. Side gore panels offer excellent stretch while you~re in movement and also allow for easy on and off. Leather lining for a comfortable next-to-skin feel. Cushioned leather footbed provides comfortable underfoot support. Leather outsole with rubber forepart for excellent traction. Made in the U.S.A. with imported materials. Measurements: Heel Height: 1 in Weight: 1 lb 11 oz Circumference: 10 1 2 in Shaft: 6 1 2 in Product measurements were taken using size 12, width D - Medium. Please note that measurements may vary by size. Weight of footwear is based on a single item, not a pair. The Prison Boot from Frye has a built-in roughened design to immediately give the look and feel of a lived-in, well-loved boot. Polished stonewashed leather upper. 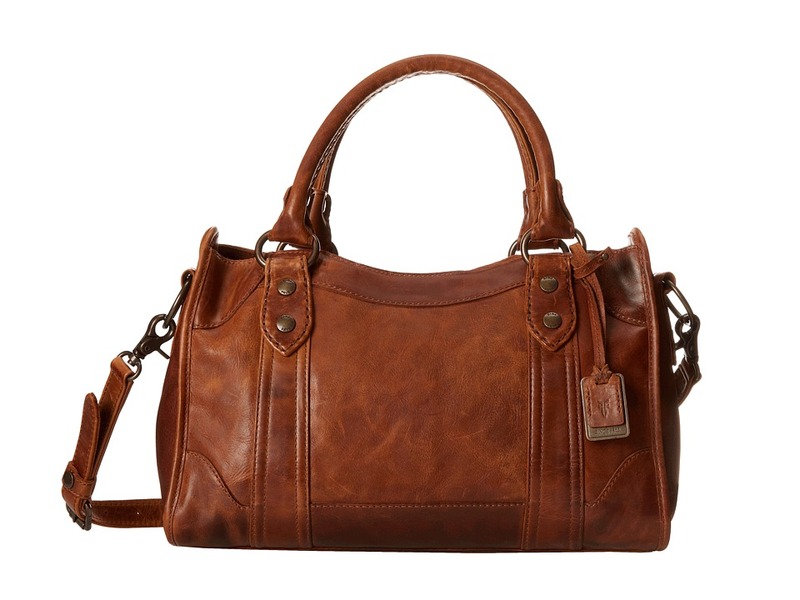 Finished look is completed by tumbling the boot with stones in a wooden drum and then polishing the leather. Leather lacing with sturdy metal eyelets for a secure fit. Interior leather lining. 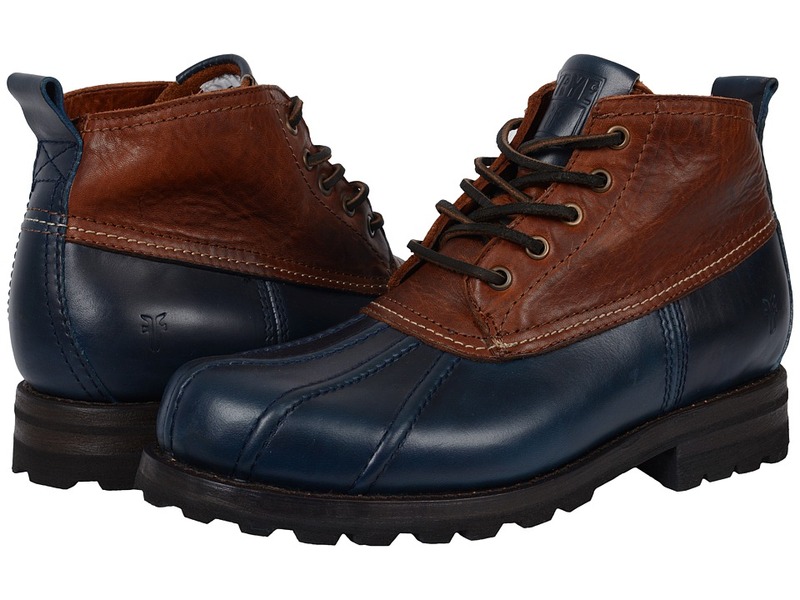 Goodyear welt allows for better flexibility and durability. Oil-resistant rubber outsole provides long-lasting durability and excellent traction. Made in the U.S.A. Measurements: Weight: 1 lb 12 oz Shaft: 5 in Product measurements were taken using size 11.5, width D - Medium. Please note that measurements may vary by size. Weight of footwear is based on a single item, not a pair. 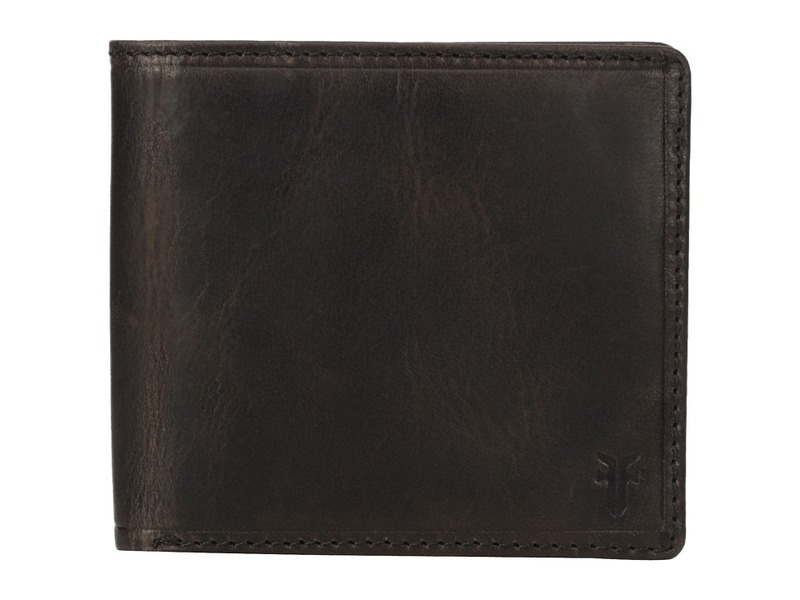 Enjoy the sleek and minimalist style of the Logan Card by Frye. 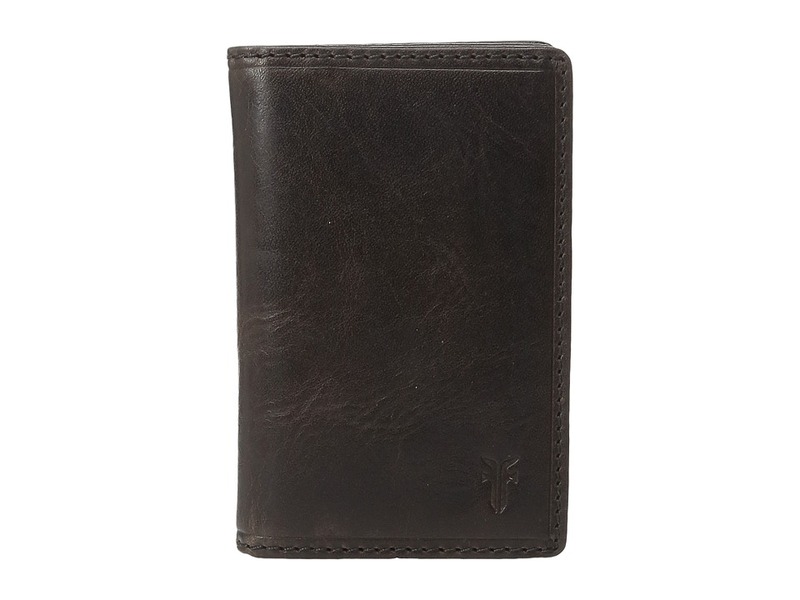 Leather card holder constructed from rich Italian leather. 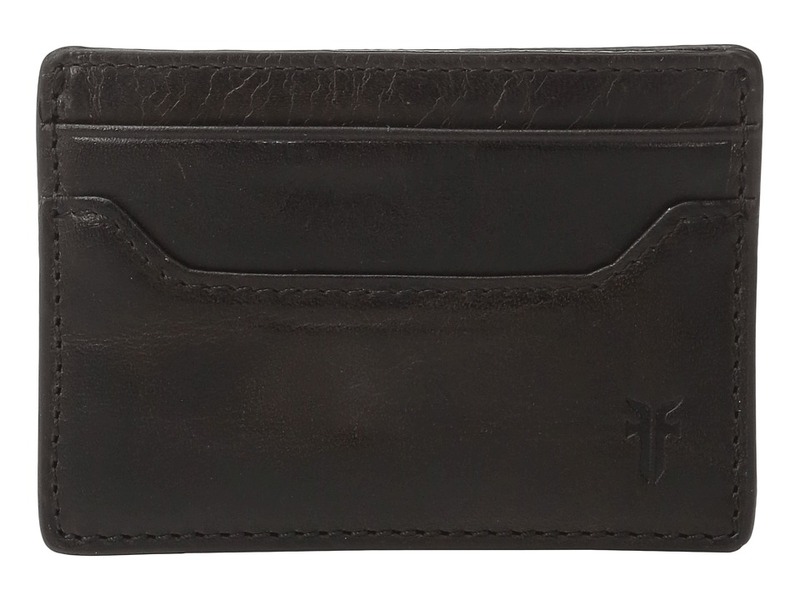 Features five card slots, two exterior and one in the center. Embossed Frye logo on front and back. 100 percent leather. Imported. The Frye Warren Duckboot has you ready for all seasons and all terrains with its hearty leather construction and reliable rubber traction. Upper made with a smooth full grain leather foot and washed vintage leather shaft. 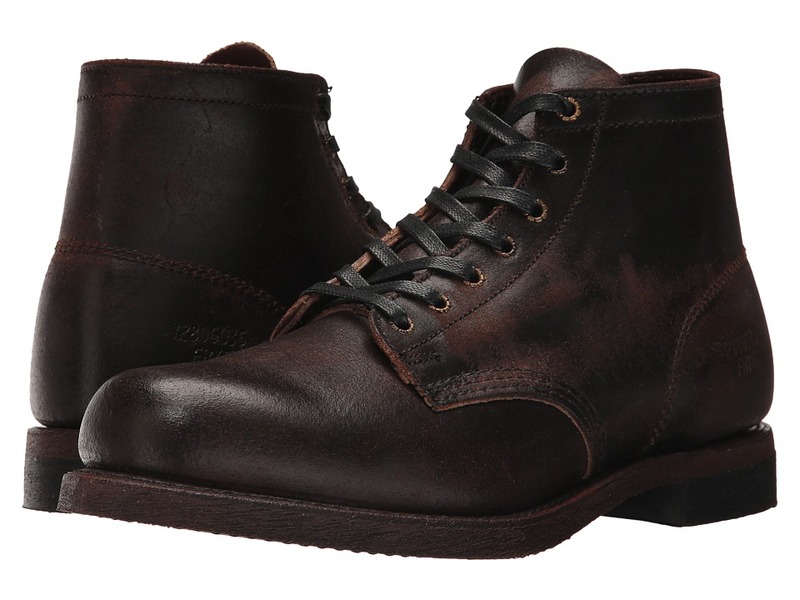 Traditional lace-up design with rawhide leather lacing for a secure fit. Classic back pull loop. Fully lined with soft shearling. Contains real shearling from sheep that is natural and has not been treated or dyed. Fur Origin: Mexico. Cushioned footbed for long-lasting comfort. Durable rubber outsole with a pronounced lug pattern for excellent traction and stability. Imported. Measurements: Weight: 2 lbs 1 oz Shaft: 8 1 2 in Product measurements were taken using size 9, width D - Medium. Please note that measurements may vary by size. Weight of footwear is based on a single item, not a pair. 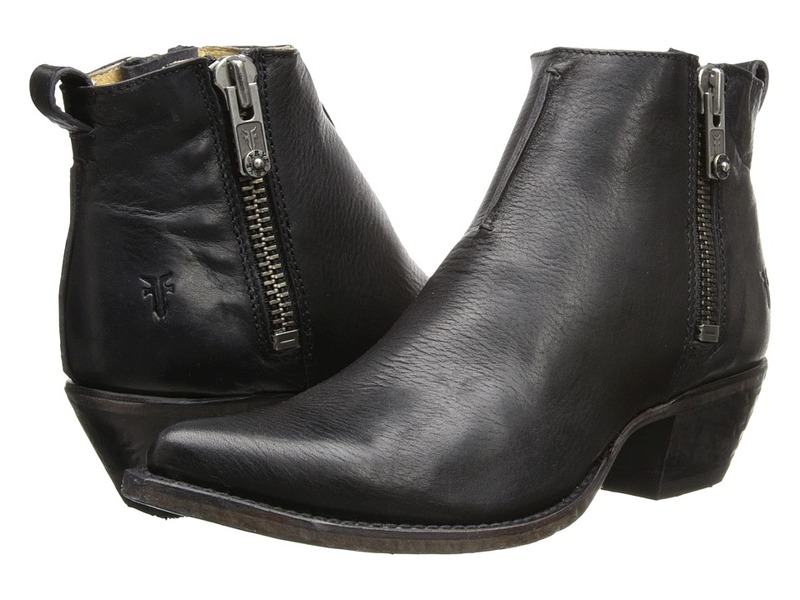 The Frye Warren Pull On boot is perfect for everyday wear with its easy slip-on design and its durable leather construction that will only become more comfortable with time. Smooth full grain leather upper is an oiled leather with a hand-burnished finish. 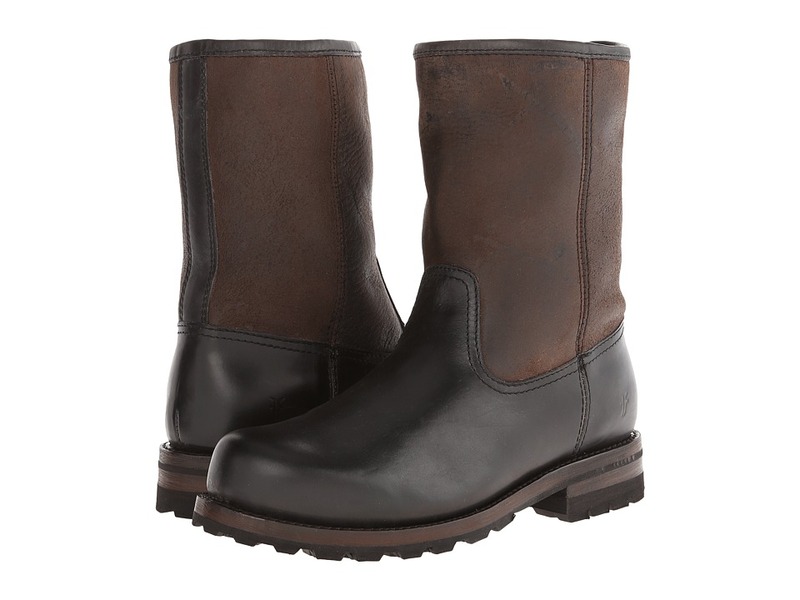 Pull-on leather boot. Fully lined for comfortable warmth. Cushioned leather footbed provides all-day comfort. Durable rubber outsole with a pronounced lug design for excellent traction. Imported. Measurements: Heel Height: 1 1 2 in Weight: 1 lb 15 oz Circumference: 14 in Shaft: 9 in Product measurements were taken using size 11.5, width D - Medium. Please note that measurements may vary by size. Weight of footwear is based on a single item, not a pair. 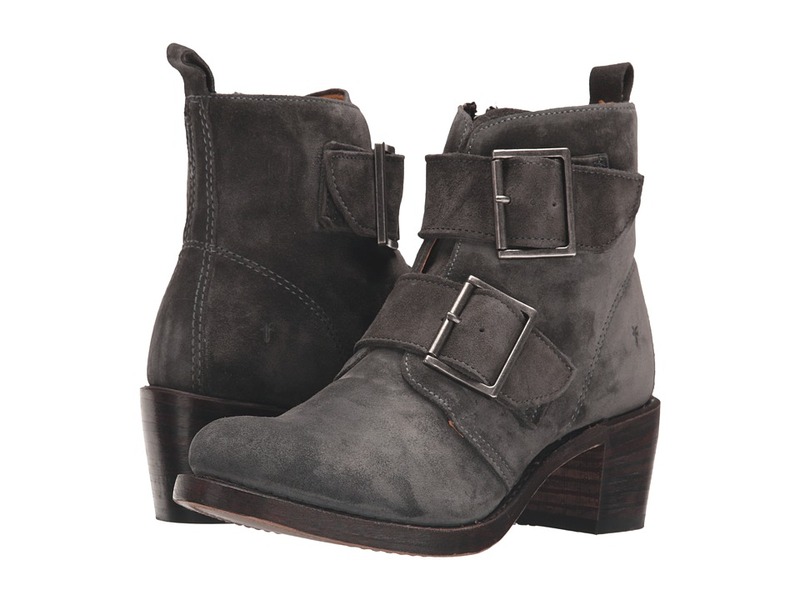 The Frye Sabrina Double Buckle boot is so beautiful and comfortable, you~ll want to wear it with everything! 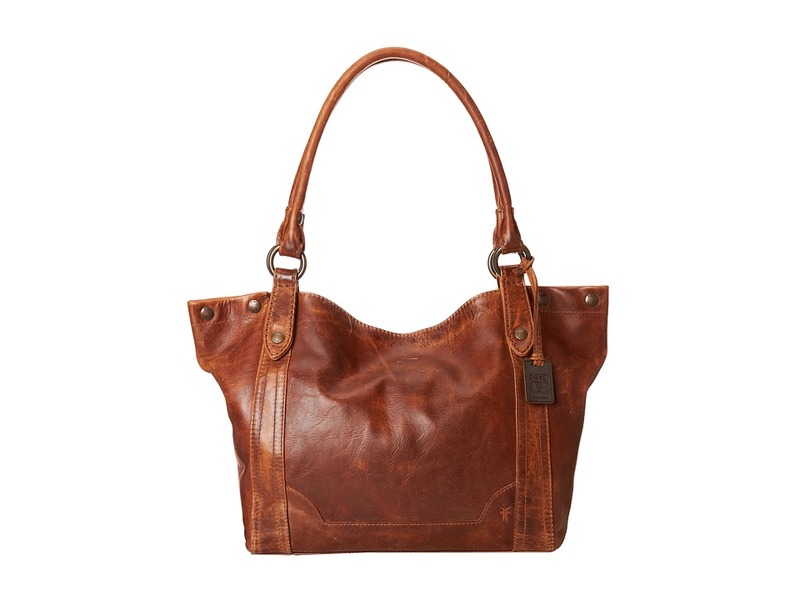 Montana stone wash leather upper is tumbled with stones in a wooden drum to achieve its vintage, well-worn look. Double buckle accents for an added touch of style. Side zip for easy on and off. Smooth leather lining for a comfortable next-to-skin feel. Cushioned man-made footbed provides all-day comfort. Durable leather outsole with a rubber heel lift. Made in the U.S.A. Measurements: Heel Height: 2 1 4 in Weight: 1 lb 7 oz Circumference: 12 1 2 in Shaft: 4 3 4 in Product measurements were taken using size 7.5, width B - Medium. Please note that measurements may vary by size. Weight of footwear is based on a single item, not a pair. 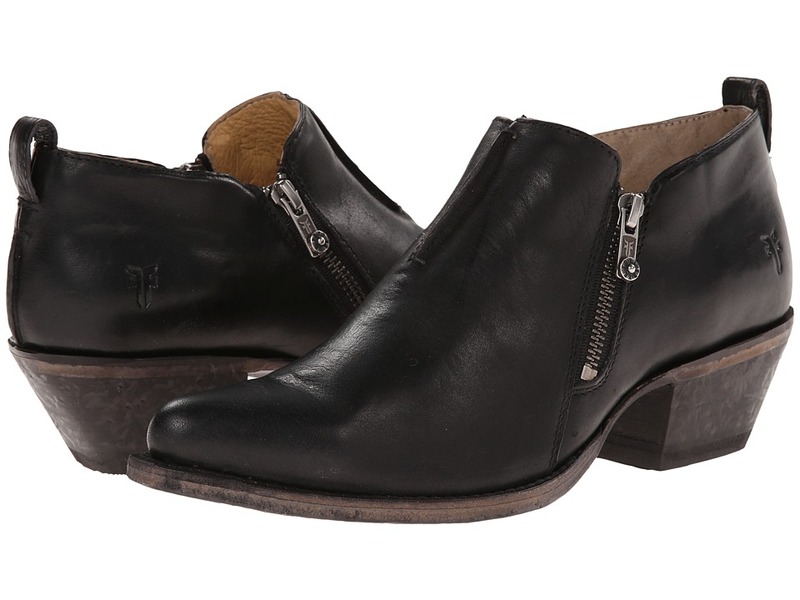 Look utterly sharp and sophisticated in the Frye Sacha Moto Shootie! Smooth vintage leather upper. 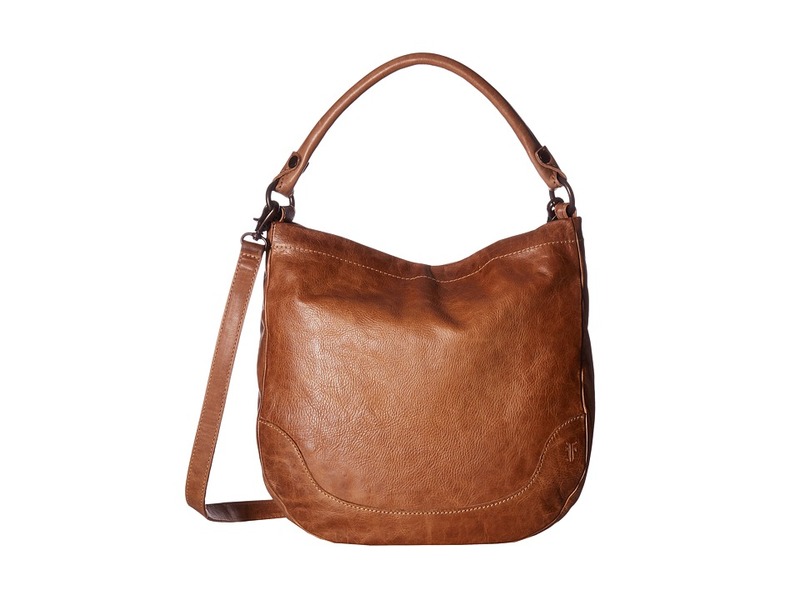 Leather features distressing detail and a burnished finish for a broken-in appearance. Dual side zip closures for easy on and off. Back heel loop for easy entry. Smooth leather lining. Cushioned leather footbed for all-day comfort. Distressed heel for a more vintage look. Durable leather outsole with a rubber heel tab for added traction. Imported. Measurements: Heel Height: 1 1 2 in Weight: 1 lb Product measurements were taken using size 9, width B - Medium. Please note that measurements may vary by size. Weight of footwear is based on a single item, not a pair. Take a ride on the open road in the Frye Sacha Moto Shortie! Smooth vintage leather upper. Dual side zip closures for easy on and off. Back heel loop for easy entry. Smooth leather lining. Cushioned leather footbed for all-day comfort. Distressed heel for a more vintage look. Durable leather outsole with a rubber heel tab for added traction. Imported. Measurements: Heel Height: 1 1 2 in Weight: 15 oz Circumference: 10 in Shaft: 5 in Product measurements were taken using size 7.5, width B - Medium. Please note that measurements may vary by size. Weight of footwear is based on a single item, not a pair.